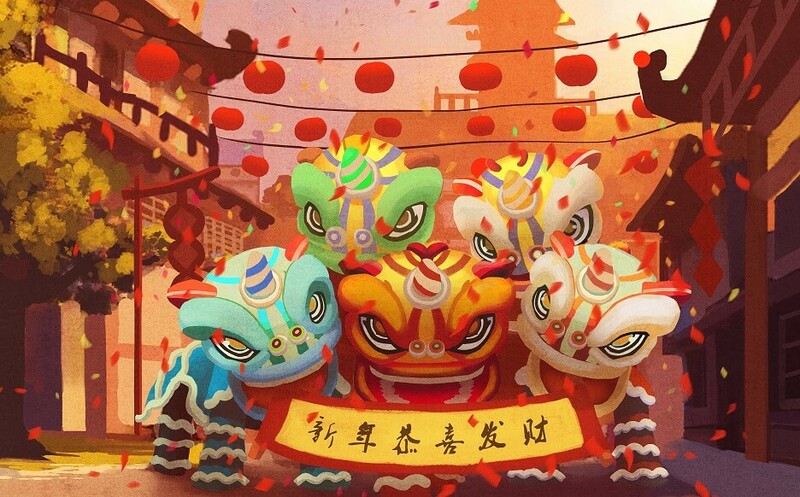 February 4th, 2019 and February 5th, 2019 or the lunar January 1stof the new year, is the Chinese Spring Festival which is expected and valued most by all Chinese. 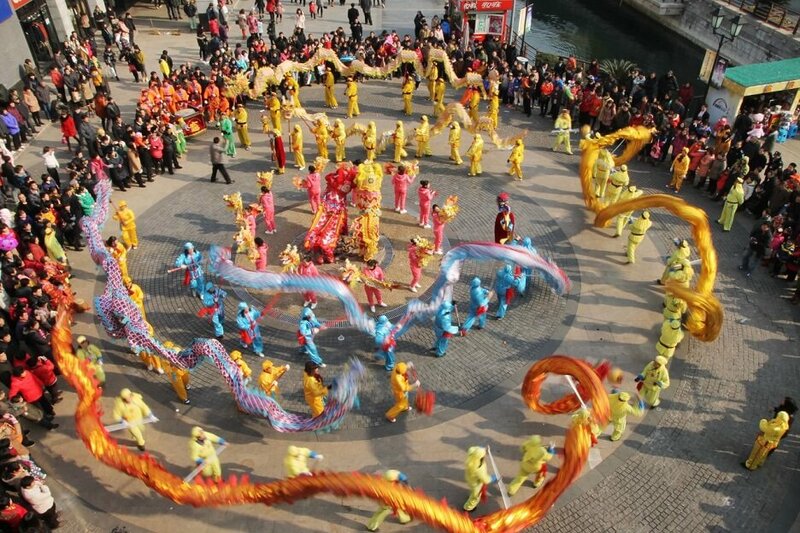 In Jiangsu, besides for the customs as same as that nationwide such as pasting Spring Festival couplets, hanging the new year pictures, staying up late or all night on New Year’s Eve, the lion dancing performance and having new year greetings, there are also some particular customs of its own. Suzhou people would like to put some water chestnuts into rice on New Year’s Eve, dig out when having rice, and they call it as “digging shoe-shaped gold ingot”. When relatives and friends come for visit, they would like to put two green olives into tea, meaning to drink “tea of shoe-shaped gold ingot” and have a prosperous year. In Nantong, some people have the custom to insert sesame stems, evergreen trees and cypress branches at the gate or before their house, implying their life rises higher and higher like the sesame and evergreen all the year round. In Wuxi, people would like to have shredded sticky cake, dumplings or noodles for breakfast, symbolizing family reunion, promotion, longevity and evergreen. This day, they only eat the rice and dishes left from the New Year Eve, meaning “abundance year after year”. In Jiangsu area, there are also many taboos in the old customs, such as no touching scissors on the lunar January 1st to avoid any quarrels or disputes; no touching the kitchen knife to avoid fatal disaster; no eating porridge for fear of raining when getting out; no sweeping the floor for fear of sweeping off luck in making money etc.